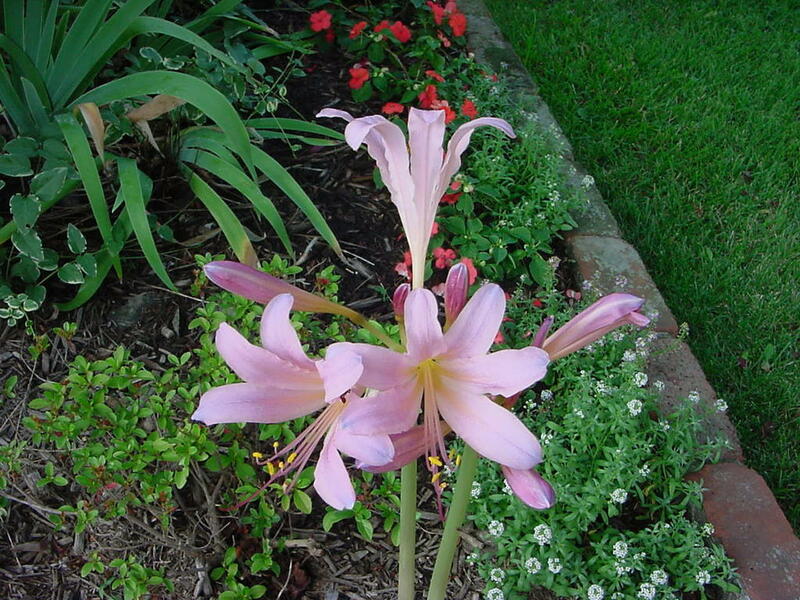 SURPRISE LILIES - CLOSE-UP. 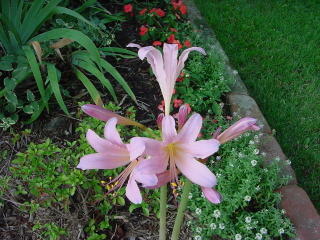 Here's a close-up of the lilies in bloom. Not bad for not expecting anything amid "dog days."